Jason Elley of developer, Rabie Property Group, said more than half of the southern block of Sable Park has now been let with MTN taking two of the four storeys, Sasfin signing for a further 800 square metres and strong interest being shown in the remaining 3000 square metres of Prime Grade space. 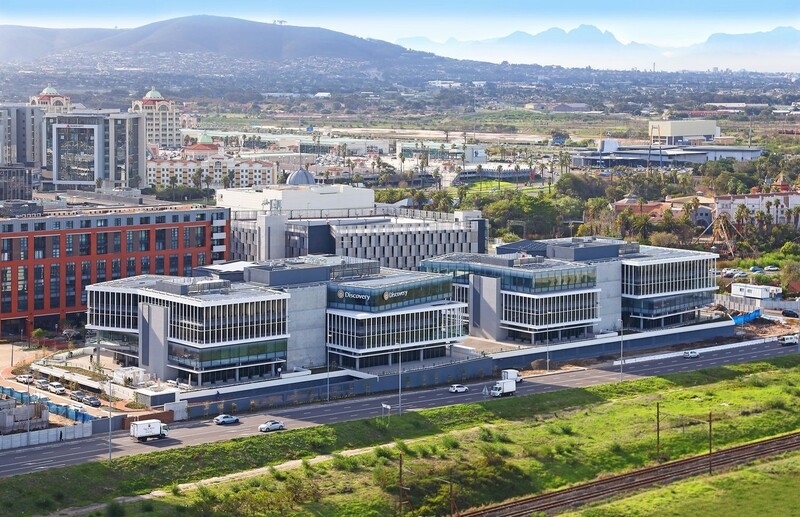 “Interest in the remaining space is extremely strong due to the high standard of the office space itself, its panoramic mountain and sea views as well as its position in the vibrant Bridgeways precinct close to a wide range of leisure and retail facilities including restaurants, hotels, the Century City Conference Centre and the Virgin Active gym. Sable Park has been awarded a 5 Star Green Star – Office v1.1 Design certification from the Green Building Council of South Africa, bringing to 19 the number of Green Star-rated buildings in Century City. Sable Corner is also being designed to meet these exacting green criteria to provide widespread operational benefits for tenants going forward. Fronting on to the busy Sable Road, both developments are designed to maximise high visibility along with uninterrupted views of Table Mountain and Table Bay. Sable Corner, which will boast a spectacular all-glass façade will offer five levels of offices, with two levels of basement parking. The bottom four office floor plates will each offer 1500 square metres of space with the top floor of around 750 square metres allowing for a potential extensive outdoor corporate entertainment patio. Construction is expected to get underway in the first quarter of 2019 with completion set for end 2020. For further details contact Jason Elley or Sedica Knight on 021 550 7000.